About Indian Rocks Beach, Florida - BeachDirectory.Com - The entire Florida Gulf Coast...in detail! 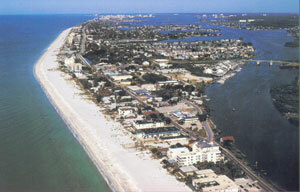 Indian Rocks Beach is a quiet town of 4,200 full-time residents. It is located between the Gulf of Mexico and Boca Ciega Bay, just a few miles south of Clearwater Beach, its more famous neighbor. 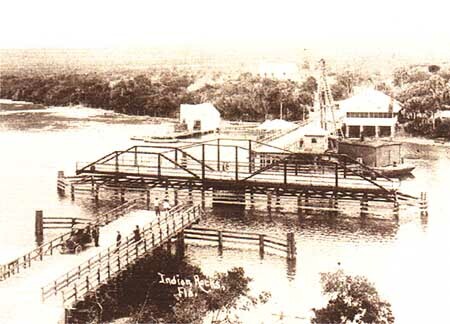 Indian Rocks Beach was initially developed in the 1920s as a weekend getaway destination for wealthy Tampa residents. 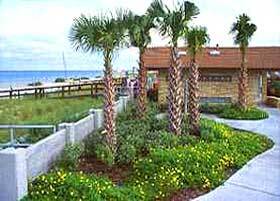 Its 2.7 miles of quiet beaches are popular with families and senior citizens alike. Despite its "sleepy" appearance, Indian Rocks Beach is home to some of the best known restaurants along the Gulf Coast, including Crabby Bill's, Guppy's, and Brewmasters Steakhouse (at Harbourside Holiday Inn). See our restaurants section for more details. Crabby Bill's Seafood Restaurant opened it's first store in 1975 in Indian Rocks Beach. Since then, much great seafood has been served and many more Crabby Bill's restaurants have opened. Crabby Bill's is a favorite among locals - a must see during your visit. Indian Rocks Beach Arts and Crafts Festival, typically held every November and April, is an art show where many local artists showcase their works. The April Event is called Beauty and the Beach, at which you can listen to live music, enjoy good food and stroll around under the trees in Kolb Park looking at the arts and crafts on display. For a list of other events in Indian Rocks Beach, a bi-annual newsletter is available at the City of Indian Rocks Beach Town Hall (phone 727-595-2517), located at 1507 Bay Palm Blvd. You can also ask to be put on their mailing list. The Indian Rocks Historical Society covers local history like no other beach community in the area. 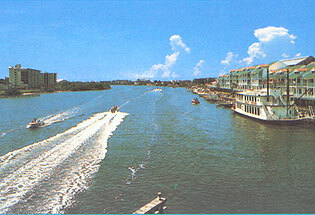 Click here for a view of what was once the only bridge to the mainland. Indian Rocks Beach has its own atmosphere, different from that of Clearwater or the communities to the south of it. It does not want to become flashy and glitzy, preferring to remain down-to-earth and with a whiff of what beach life used to be a long time ago.